Circumstances of the day made me forget about this little challenge I foisted upon myself, so it wasn’t until I was almost home before I remembered I needed to get a shot. Luckily, as I was driving last night to get Day 4, I took note of the steeple at this local church. 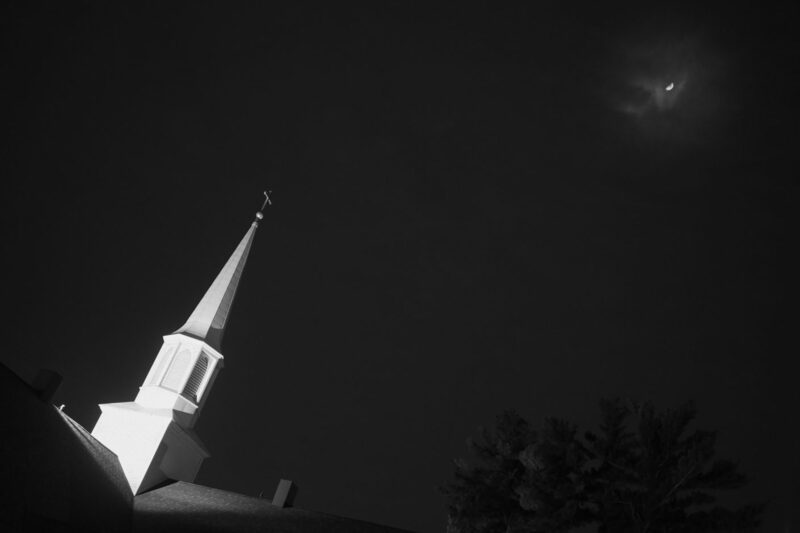 I liked how, from the back of the church, the steeple appeared to rise out of the darkness. The added bonus was the moon, although I do wish the moon was full. But I guess I can always go back!